There are many ways we can save money just by spending our money wisely. 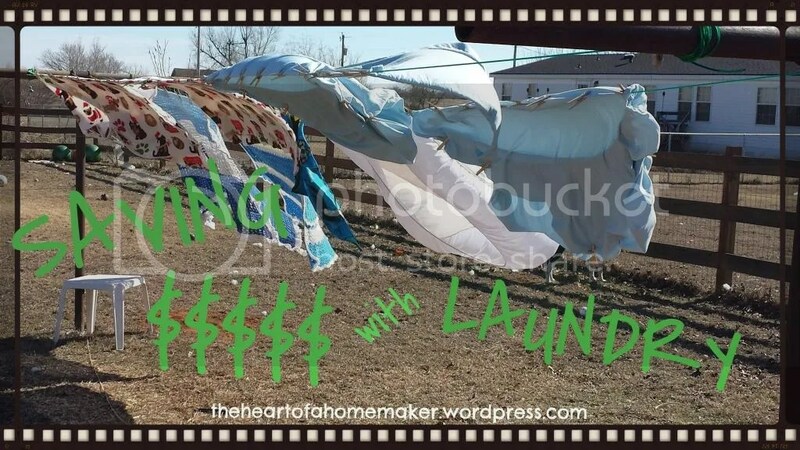 I have found a few ways to help with spending less on my laundry. First is the SmartKlean Laundry Ball! When doing some research on the no poo method I found Ashley’s Green Life blog. I’m not a big save the Earth kind of person because I feel like I do a pretty good job on limiting my carbon footprint if we ever find out that it does really matter but I do LOVE to save money which is why I was looking into no poo in the first place. Who knew the other wonderful money savers I would find…like that SmartKlean Laundry Ball! I wasn’t sure that I really believed the that it would work but I decided to look and see if I could find it somewhere else for less than $45. I was lucky enough to find it on Amazon for $19 (I haven’t seen it that price since). For $19 I was willing to take the risk to see if it would actually work. Here’s a video of how it works and it’s benefits. If you don’t want to watch the video a little information that you would want to know is that you use it just like you would soap. You separate your colors, wash in cold water but you can skip the rinse cycle, it makes your clothes last longer. Your washer also lasts longer because it doesn’t get soap build up and you can’t overload your washer and cause it to work harder with the laundry ball. I also love it because it’s hypoallergenic and leaves no chemical residues. With a family that has sensitive skin issues this is a huge benefit! It also eliminates mold, bacteria, and odors from normal wear. And don’t forget that it can be used over and over for a full year! Wondering how much money it will save you? Check out their break down here. How else do I Save Money? I use cloth whenever I can instead of paper. I use cloth towels instead of paper towels and cloth napkins instead of paper ones. I have a basket on my counter that has all my clean cloths in it. Then next to the sink I have a plastic container for the dirty ones. Then I wash them about every 2 to 3 days. Between the laundry ball and having a well (which you can’t always choose) I save plenty of money but using cloth. The third way I save money with our laundry is by using a clothesline. I know most people would just prefer to use the dryer and it was a bit of an adjustment from our apartment in the city. However, the dryer is the most expensive appliance in your house so skipping the dryer can save you money on your electric bill. I love using our clothesline now…even on the cold winter days! It’s nice to get outside in the fresh air at least twice a day. See my system is this. I start laundry first thing in the morning. It takes me 15 minutes a load from turning it on until it reaches the rinse cycle. I can only fit 2 to 3 loads on our clothesline at a time (remember my washer is really tiny so it’s about 1 1/2 normal loads per line). I put all my nice clean clothes into one basket and as soon as it’s bright enough outside I go out and hang everything up on the line. Once done I head inside until I see the sun setting and then I head out and take everything down bring it in, fold, and put it away. During the summer it’s a bit different because they dry more quickly but this is my winter schedule. Do you have other tips that could help me with saving money with laundry? I’d love to hear about them!